Sam Raimi’s Spider-Man was one of the first movies that I watched in cinemas. With its incredible character development, spectacular acting, as well as an all around great story that stands on its own, I left the cinema in awe and my passion for movies was ignited ever since. Launched to tremendous critical and commercial success, 2002’s Spider-Man raked in $821.7 million by the end of its theatrical run and is often cited as one of the most important films in its genre. Along with the X-Men franchise, Spider-Man as well as its two sequels paved the way for what was to come. With many of these characters achieving stellar success on the big screen, Marvel Studios (the company that licensed many of its characters, including Spider-Man and the X-Men, to other studios), was finally ready to produce its own slate of films. Released in 2008, Marvel Studios’ first outing was a massive hit for the studio. Exhilarating action sequences, incredible pacing, as well as perhaps one of the greatest castings decisions in film history, Iron Man’s astounding success surprised many, critics and audience alike. However, Marvel Studios’ ambitions did not end there. The immense success of the Marvel Cinematic Universe has led to many imitators. With a library of characters under its umbrella, Marvel Studios set out to do the impossible: To build an intricately connected series of movies that would feature characters crossing over to and from different films and franchises, with various plot threads tying them together. Finally, Marvel Studios’ efforts culminated in 2012’s The Avengers. Critically and commercially well-received, Marvel Studios’ first ensemble film raked in a total amount of US$1.5 Billion, and is oftentimes regarded as one of the greatest superhero films ever made. Marvel Studios’ success has made them the envy of other rival studios. Following the groundbreaking success of The Avengers, movie studios were suddenly caught up in wanting a piece of the golden goose, and aimed to develop their very own shared universe movie franchise. Warner Brothers decided to stand toe to toe against Marvel Studios with its DC Comics-related intellectual properties, whereas 20th Century Fox resolved to expand its own Marvel universe through various X-Men spin-offs as well as sequels, the likes of which include Deadpool and Dark Phoenix. Far from amazing: Critically and financially underwhelming, The Amazing Spider-Man 2 suffered from an unfocused narrative and an overabundance of characters. Even Disney’s newly-acquired Star Wars franchise aspired to tell stories beyond the core Skywalker saga by releasing its first live action spin-off installment, Rogue One: A Star Wars Story. What that amounted to was 142 minutes of poorly written, tonally inconsistent, hastily cobbled mess of a film. Instead of a sequel that expanded on the story of Peter Parker, The Amazing Spider-Man 2 was in reality a Sony checklist of building a cinematic universe. Plagued by an overabundance of villains, setups that eventually went nowhere, as well as an overall lack of direction, The Amazing Spider-Man 2 was the epitome of a film gone wrong due to massive studio interference. The overall reception of the film was so terrible, that the studio needed to reboot the character just two years after with the help of Marvel Studios to revitalise the character’s once legendary reputation. Bland and derivative, The Mummy failed to ignite the multi-movie franchise expected of Universal. Movie studios’ overconfidence in serialised storytelling proved to be a grievous oversight for them. Batman v Superman: Dawn of Justice’s largely negative response flunked the entire franchise, which resulted in the exit of Zack Snyder as the architect of the DCEU. Following the departure of Hugh Jackman after Logan, audiences are only interested in the Deadpool films when it comes to the X-Men franchise. Plans for Universal’s Dark Universe were almost entirely scrapped after 2017’s The Mummy. Hell, even the once unstoppable Star Wars franchise landed its first-ever box office bomb in Solo: A Star Wars Story. In the age of serialised storytelling, filmmakers and movie studios are so hell-bent to milk a franchise dry that they forgot that what keeps an audience interested is, well, good movies. The Marvel Cinematic Universe did not kick off because of how many easter eggs and references were packed in its first film, it kicked off because Iron Man was genuinely a great film that stood on its own. Subsequent films such as Thor and Captain America: The First Avenger were solid entries that contributed to the world-building of its universe – and all this paid off in the studios’ first ensemble film. 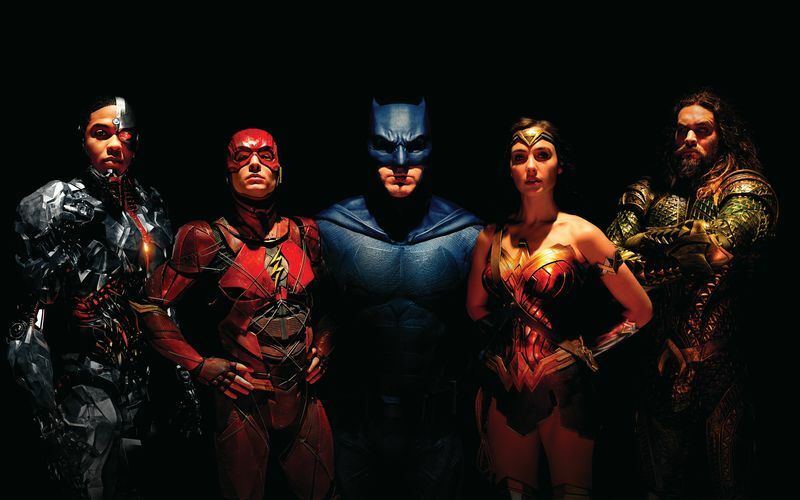 With its chaotic visuals, bland characters, as well as a narrative that’s tolerable at best, 2017’s Justice League was a failure of epic proportions. Must everything be part of an extensive mythology? Don’t get me wrong, it’s not that cinematic universes are inherently a bad thing. In fact, when done right, cinematic universes do pay off in a satisfying way when the audiences are invested in the stories they have to tell. Rather, not all movie series can support such an endeavour. By adhering to a formula, the stubbornness of crafting a cinematic universe has made the blockbuster landscape repetitive, unnecessary and mundane. Serialised storytelling has to be earned, and that takes a lot of careful planning and – most importantly – the production of movies that people actually enjoy and want to see more of. With film studios insisting on creating shared universes, audience are being told what they’re going to love, before they’ve even seen it. Filmmaking is an ever-evolving entity, and filmmakers should continue to find new ways to tell stories. Every generation yearns for something new. In the age when sequels, spin-offs and film franchises dominate, it’s important that the movie industry never loses focus on what draw audiences to the cinema – good movies.